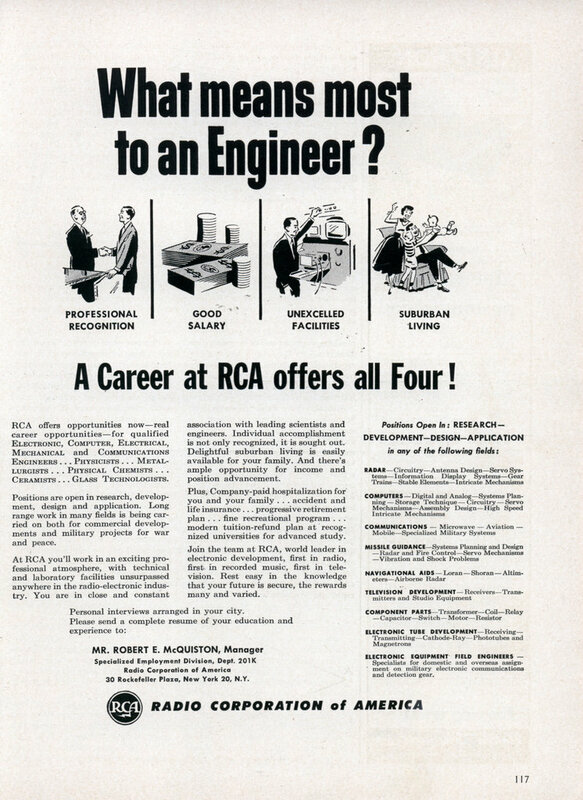 RCA offers opportunities nowâ€”real career opportunitiesâ€”for qualified Electronic, Computer, Electrical, Mechanical and Communications Engineers … Physicists … Metallurgists . . . Physical Chemists . 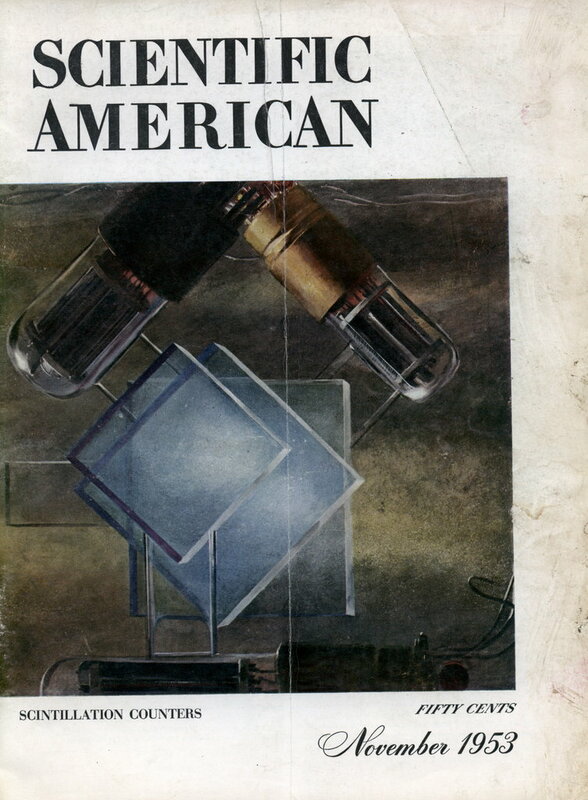 . . Ceramists … Glass Technologists. Positions are open in research, development, design and application. Long range work in many fields is being carried on both for commercial developments and military projects for war and peace. At RCA you’ll work in an exciting professional atmosphere, with technical and laboratory facilities unsurpassed anywhere in the radio-electronic industry. You are in close and constant association with leading scientists and engineers. Individual accomplishment is not only recognized, it is sought out. Delightful suburban living is easily available for your family. And there’s ample opportunity for income and position advancement. Plus, Company-paid hospitalization for you and your family . . . accident and life insurance … progressive retirement plan . . . fine recreational program . . . modern tuition-refund plan at recognized universities for advanced study. Join the team at RCA, world leader in electronic development, first in radio, first in recorded music, first in television. Rest easy in the knowledge that your future is secure, the rewards many and varied. ELECTRONIC EQUIPMENT FIELD ENGINEERS â€” Specialists for domestic and overseas assignment on military electronic communications and detection gear. Personal interviews arranged in your city.